On Saturday, February 23, 2013, members of a remote Panamanian village gathered to celebrate the accomplishments of 16 high-achieving middle and high school students participating in Few for Change, a scholarship program founded in 2009 by alumni of a study abroad program in Panama coordinated by the School for International Training (SIT). 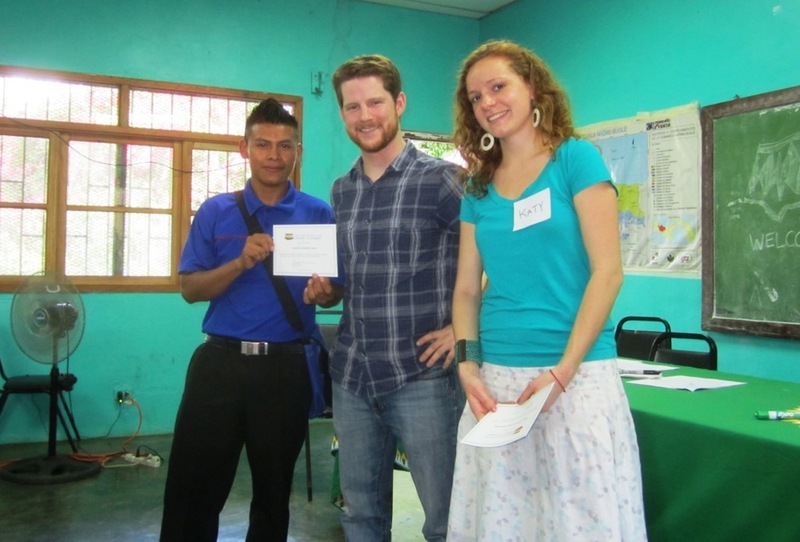 Four Few for Change volunteers were on hand in Quebrada Guabo, 250 miles west of Panama City, to congratulate the students, who would not be able to continue their studies without this critical financial assistance. Few for Change Co-Director Brooks Winner and his fellow volunteers conceived of the program after a semester studying in Panama through SIT. They saw it as a way to give back to the communities and families that had hosted them during their studies, and have raised nearly $20,000 over the past four years, awarding 19 three-year $1,050 scholarships for students. These awards cover educational expenses for the students, such as tuition, food, clothing, transportation, and books. 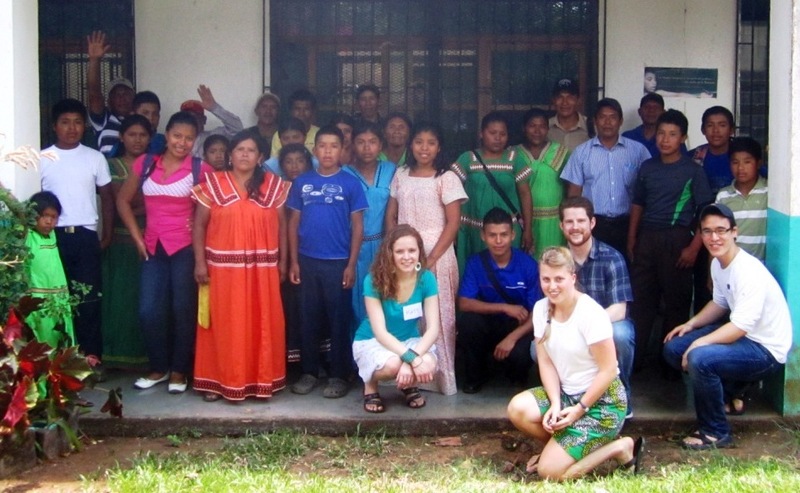 Few for Change serves multiple communities in the Comarca Ngäbe-Buglé, a semi-autonomous Indigenous state in Panama, similar to a US reservation. Few for Change volunteers celebrate with students, family members and volunteers in Quebrada Guabo, Panama. The Ngäbe-Buglé is Panama’s largest indigenous group and the second largest Indigenous group in all of meso-America. Ninety-eight percent of the population in the Comarca lives in poverty and ninety percent live in extreme poverty – defined as not having enough to eat on a regular basis. According to Winner, the cycle of poverty in the area is perpetuated by a lack of access to education -- nine out of ten students from the area don't reach seventh grade. He is certain that none of the Few for Change scholars would have been able to continue their education into secondary school without the support of the scholarship. "The unique thing about this project is that it started with an educational experience and grew into a natural reciprocal exchange," Winner said. "We learned so much from the people who hosted us, and we wanted to reciprocate that gift of education through the scholarship program. We believe that education is a basic human right which can facilitate and sustain transformation for these students and their communities." The trip was the first by Winner and his colleagues since the founding of the scholarship. "After four years of getting to know these amazing students through their photos, essays and journal entries, it was incredible to finally meet them and talk to them about their aspirations and dreams for the future," Winner said. "These young men and women are the future leaders of their communities and they are all committed to working to make their homes better places to live. With a little help from Few for Change and the support of their families and communities, they are able to pursue their goals of becoming teachers, nurses, doctors, engineers, and agents of change in their hometowns." Few for Change Co-Director Brooks Winner (center) and volunteer Katie Clay (right) present Few for Change scholar Aquilino Andrades Santo with a certificate. Newer PostWednesday is Match Day! Older PostFew for Change Fellowship - Apply today!